Illustrated. 527 pp. Little, Brown & Company. $28. I had my first paranormal experience as a teenager. My father had purchased a small cabin on a lake in Minnesota, and needed a new well. He hired a drilling contractor, an old man who arrived blindfolded with a forked tree branch in hand. He was a dowser, and the branch was his divining rod. The blindfold was to help him concentrate on the vibrations of the branch. It quickly led him to a source of water. The divining rod pulled the dowser up the driveway, past the cabin, adroitly between trees and over the full length of our dock to its end, where he — sploosh! — fell into four feet of lake water. My father and I fished the blindfolded geezer from the lake and guided him to shore. After he had finished coughing and sputtering up water, my dad fired him. Annie Jacobsen, whose previous book was “The Pentagon’s Brain,” has written an entertaining narrative of the many salaried people in our government who have supported the exploration of psychic phenomena, but who all have displayed less wisdom than my father. 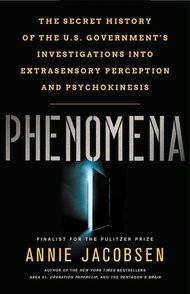 Her new book, “Phenomena: The Secret History of the U.S. Government’s Investigations Into Extrasensory Perception and Psychokinesis,” chronicles the hilarious escapades of men and women who should have been promptly fired rather than immortalized by this skillful reporter. The usual disciplines are explored: ESP, clairvoyance, traveling clairvoyance (or out-of-body experiences), psychometry (divining information from objects), skin reading, dowsing, eyeless sight, mental telepathy, synthetic telepathy (using microwaves), outbounder-beaconry (don’t ask), mind projection, psychoenergetics, remote viewing, E.H.B.F. 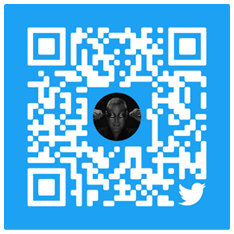 (extraordinary human body function), spoon bending, remote action, remote perturbation (a gentler version of the former), precognition, divination, automatic writing, cryptomnesia (unconsciously evoking latent memories) and premonition/intuition (a.k.a. “Spidey sense”). Devotees of the unseen world will be familiar with the cast of characters: Uri Geller, the spoon bender; Edgar Mitchell, the Apollo astronaut who did ESP experiments on his way to the moon; Cleve Backster, who gave polygraph tests to plants; Ingo Swann, a pioneer of remote viewing; Karlis Osis, an expert on deathbed visions; J. B. Rhine, of Duke University’s Parapsychology Laboratory; Jacques Vallée, the U.F.O. astronomer; Hal Puthoff and Russell Targ, of the weird Stanford Research Institute; Charles Tart, the altered states aficionado. They’re all here, a Who’s Who of the things-that-go-bump-in-the-night world for true believers to enjoy. Much of the information presented is already known, but Jacobsen has accomplished the gargantuan feat of bulldozing it all into one place, with additional details gleaned via searches under the Freedom of Information Act, followed up with recent interviews of sundry paranormalists involved. She has a keen eye for amusing anecdotes, and writes them up with convincing detail. More than that, Jacobsen has arranged her story in a kind of nonfiction picaresque novel. Her marginal real-life characters appear, disappear, then reappear episodically, wisely sticking to the shadows of the bureaucracy, often paid secretly, accomplishing nothing. Andrija Puharich is the pioneer of the book, the man who monetized and institutionalized psychic phenomenology. He worked his way through medical school as a tree surgeon, and came to the epiphany that the human nervous system works like the roots of a tree. (Note to reader: This is not true.) Puharich persuaded rich people, mostly heiresses, to spend the hard-earned (by others) money they had inherited on his Round Table Foundation, which studied ESP, telepathy and other psychic phenomena. The foundation conducted experiments in an opulent seaside mansion in Maine designed by Stanford White. Then Puharich found still deeper pockets, organizations even more willing to spend other people’s money: the United States military and intelligence services. Jacobsen describes the multidecades-long effort to lavish oodles of taxpayer funds on techniques that never worked. None of the experiments described in “Phenomena” struck me as scientific. The psychics were tested by other believers, as it was maintained that any negative attitudes would foil the experimental results. There was no legitimate peer review or efforts to replicate results. Management overseers — the people who got the money — were philosophically onboard. One of them, Maj. Gen. Albert Stubblebine, admitted that his goal in meditation was to learn how to levitate. What the psychic researchers were best at was finding success where none existed. When, in 1988, Marine Lieut. Col. William Richard Higgins was abducted in Lebanon by Hezbollah, one of our nation’s top remote viewers, Angela Dellafiora, was asked to find him by psychic means. She announced that he was still alive, being moved from place to place, and was “on water.” In fact, he was long dead. The terrorists had kept his body on ice to preserve it. Dellafiora’s supervisor declared success. After all, she had said he was “on water,” and ice is frozen water. Jacobsen does not come up with a dollar total for how much has been spent by the government on psychic phenomena, but the Stanford Research Institute, where some of this work was conducted, had a yearly budget of $70 million. Jacobsen’s admirable deadpan style made me first believe that her book is an exposé of government foolishness. In the final chapters, however, she appears sympathetic to the field. Kenneth Kress, a C.I.A. analyst, wrote that belief is a binary issue with regard to the paranormal. There are “two types of reactions… positive and negative, with little in between.” Jacobsen’s sources should have used mind control to get her a more receptive Times reviewer. I was a bust in catechism class, never getting behind the Jesus stuff. The miracle of feeding the 5,000 with five loaves and two fishes mystified me. With such powers, I would go, “Hey, filet mignon for everybody!” Same deal, Uri Geller. With mental metal-bending skills, why not form sheet metal panels for General Motors rather than ruin people’s silverware? In the late 1970s I constructed the editorial format for a science magazine called Omni. The owner asked me to include some coverage of paranormal science. During a 10-year period, looking for just one legitimate event, I spent hundreds of thousands of dollars of this man’s money, not to mention suffering through tedious lunches with lunatics. (Have you ever tried eating crème brûlée with a bent spoon?) Then there were meetings with the psychics’ equally creepy codependents, the debunkers. Every psychic phenomenon our staff looked at was quickly discredited, or duplicated easily by magicians. “Phenomena” winds down as a picaresque novel should. It goes nowhere, and there is no character development. The people end up as shallow as they began. Jacobsen finds Geller filthy rich but still willing to bend spoons for people in restaurants. In 1995, suffering from dementia, kidney failure and gangrene in one leg, Andrija Puharich, surrounded by feral cats (sans ESP), fell down a flight of stairs to his death. Most sad, perhaps, is Edgar Mitchell, the ESP astronaut. He opens a safe for Jacobsen and extracts a bent spoon. Mitchell did not bend the spoon with his mind. He did not see it get bent. It was mailed to him by a woman who claimed it was bent by her son while watching Geller on television. He tells Jacobsen that the bent spoon inspires him.